Does Water Quality Affect Green Sand Properties? Water-soluble salts or electrolytes are just some of the mineral contaminates found in everyday tap water used by foundries across the U.S for their green sand systems. Bentonite is the main bonding compound of green sand systems, and fort it to have quality bonding, it first must be activated with the use of an agent. A good activating agent must fulfil three requirements. Be distinctly soluble in water, having a solubility of at least 1 g/100 g of water. 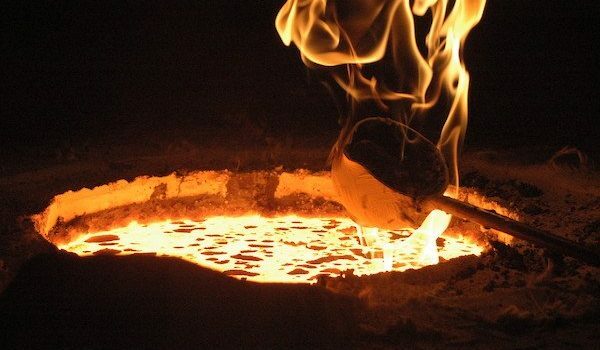 Bernier Cast Metals, Inc. has been a premier provider of castings for over 70 years. © 2018 Bernier Cast Metals, Inc.
© 2018 Manufacturing All rights reserved.